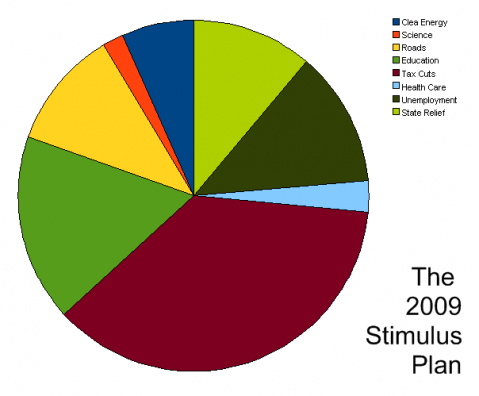 Where will the stimulus money go? It appears despite the bi-partisan work on ethanol, biodiesel, and other technologies, the hope for a geogreen stimulus is fading fast. Adding a defense stimulus to the package would seem to have obvious political benefits for Obama as well. The people who would support such a program are among the most suspicious of an Obama presidency — here would be a chance to allay their concerns, and perhaps co-opt their support, from practically the first day of his administration. Likewise, those who would oppose a defense stimulus are precisely the voters who are least inclined to grumble about Obama administration policies in the early going, and also the people whom Obama has the most to gain from antagonizing. I assume that by moderninizing and improving our armed forces, the Republicans mean save the expensive, next-generation jets designed to fight our allies. We need a pro-growth foreign policy, not a moneypit that sets us up to spend billions on wasteful projects, alienate our allies in the new core of the global economy, and divert our attention against nation-building and counter-insurgency. 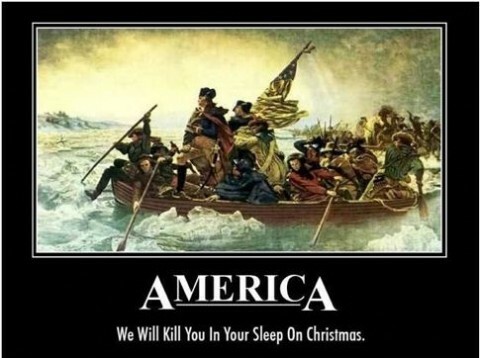 America: we will kill you in your sleep on Christmas. Inbound traffic was 19% below last December. This slowdown in exports (inbound traffic to the U.S.) is hitting Asian countries hard. But even more shocking and important for the U.S. economy is that export traffic has collapsed. For the LA area ports, outbound traffic continued to decline in December, and was 30% below the level of December 2007. Export traffic is now at about the same level as in late 2005. So much for the export boom! As a Republican, it is frustrating how the GOP is basically avoiding the issue. On fixing the economy, the Democrats appear to be the party of ideas. Right or wrong, Democrats are presenting solutions and arguing over their ramifications. Republicans appear to be sticking to talking-points. OAKLAND â€” The morning after a handful of vandals hijacked an otherwise peaceful rally against police abuse, several business owners and workers patched up broken windows and tried to resume their normal routines. Mayor Ron Dellums and police Chief Wayne Tucker, meantime, met with business leaders and said in an afternoon news conference that the city will be taking additional steps â€” including the employment of private security patrols â€” to try to prevent more damage and restore people’s confidence in coming to downtown Oakland. The background of this is the death of Oscar Grant, a fellow with a lengthy criminal record, following reports of an intergroup fight (classic honor-seeking pack behavior) on the Bay Area Rapid Transit system. I hope President-Elect Obama is wise enough to see the trap that “civil rights leaders” and liberals are setting for him, and stays out of the controversy.